Is five months too late? If we’re talking about my period, yes, but that ship has already sailed. 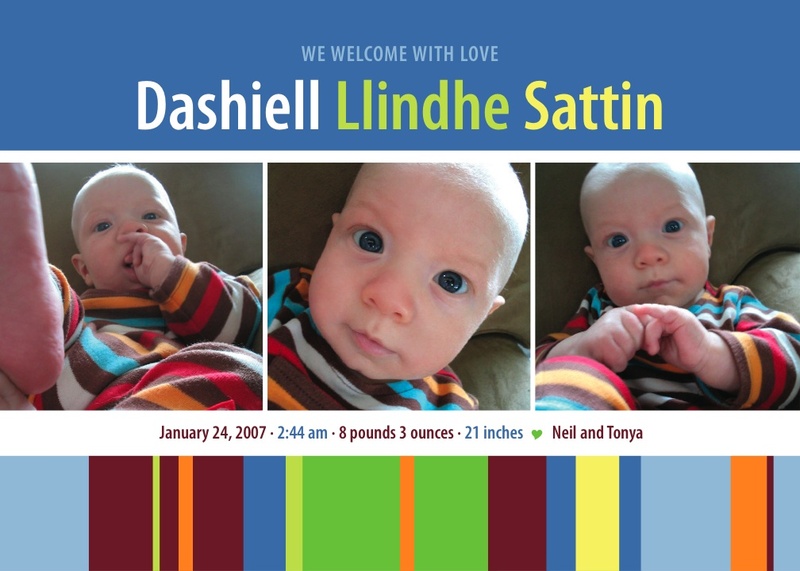 Something tells me I was supposed to send out Dash’s birth announcements a long time ago but, bite me, I just didn’t get around to it. And yes, I could just skip it entirely since family and friends already know he exists but there’s some annoying, proper part of me that isn’t letting me off the hook so easily. Anyway, he’s now an adorable five months old and I’ve committed myself to announcing his arrival to the world. After wading through a lot of cheesy options, I found hellolittleone.com and the delightful talents of Jenny. Just look at what she’s done. You are currently browsing the HappyDash weblog archives for June, 2007.